leave them in the field. 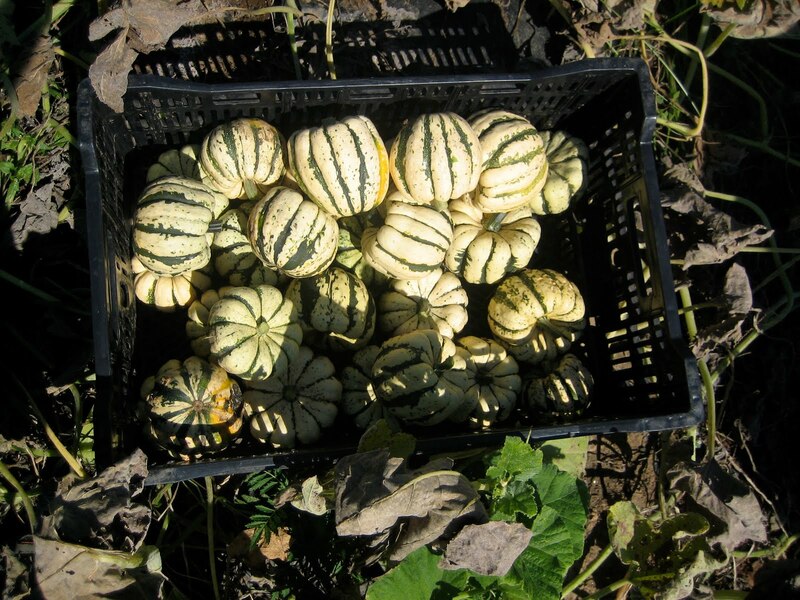 As the leaves wilt and die, the energy of the plant focuses on fruiting (producing squash). The only problem with this is when little critters such as the interesting, yet pesky cucumber beetle above or rodent Voles get to the fruit before it has a chance to create a protective casing. Hungry little fella?...There you go. 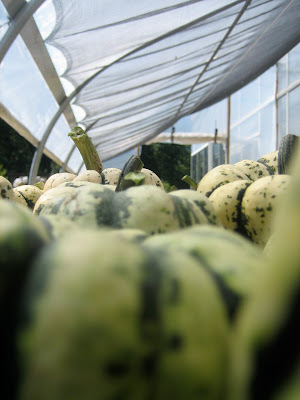 So Zach and Alec took us out to the field to harvest the mature squash and transfer them over to a safer, bug/rodent free zone in the greenhouse. We took the squash down to the greenhouse, washed them in a tub of water, with a cap full of bleach to kill off any fungus that may have infected the squash, and spread them out over these tables to get some good safe curing sun. After about a week these squash will be moved to a dark, dry place where they will finish off the curing process for the next few months.